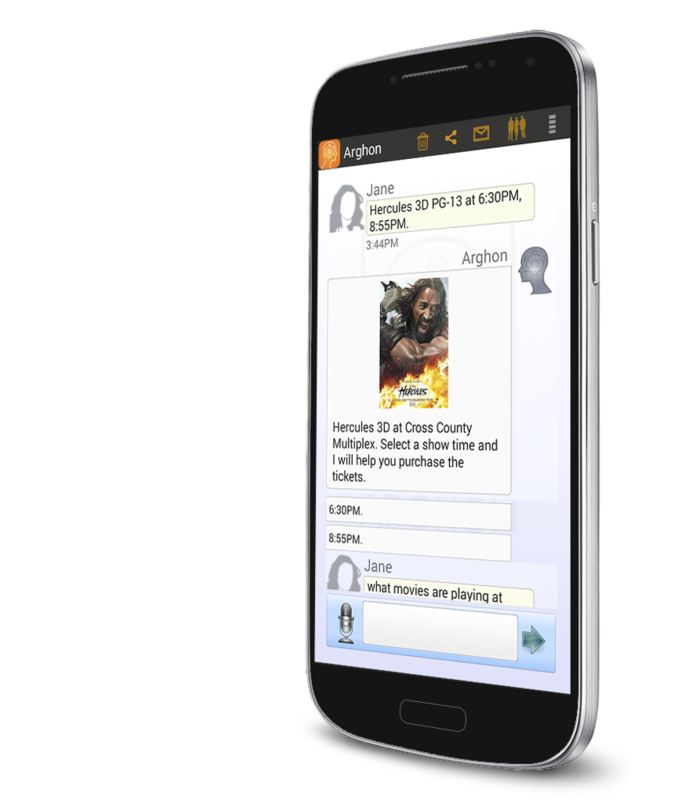 Arghon, the most advanced taxi passenger app. Ever. Arghon is not a typical ride-share service. Arghon is an advanced Personal Artificial Intelligence, not only lets users hail a taxi or order a limousine, Arghon creates the very need for the ride in the first place. When a user asks Arghon what movies are showing at a local cinema, Arghon then asks the user if they want to order a taxi to the theater. Your seven digit Arghon Transport code permanently ties your Arghon Transport app to your company. Two simple instructions on the back of your driver's business cards is all you need to your customers ordering your taxis with Arghon. Be sure to include the Arghon download link on the back of your business card. Place your seven digit Arghon Transport code below the link, and instruct the passenger to enter your 7 digit code when when prompted during their Arghon install. 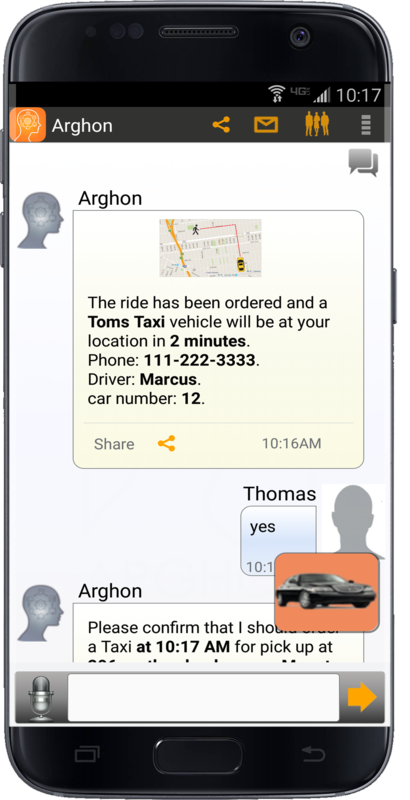 Now, each time the Arghon user orders a taxi, the ride request is first sent to your taxi company to book the ride. Of course, if all of your taxis are busy with other passenger trips, the system sends the request to another company (we cannot leave a user stranded).